Italian tenor Antonello Palombi may be a familiar voice to the Seattle Opera audience by now. He most recently sang Manrico in Il trovatore in 2010, and has also sung in the company’s recent productions of Aida, Pagliacci, and La fanciulla del West. 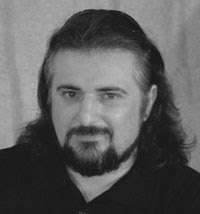 (He’ll also be returning in 2012/13 as Calaf in season opener Turandot.) Now he takes on a role debut as Foresto, the leader of the Aquileian refugees in Attila. We chat with Palombi today about his character and what—in his admittedly biased opinion—makes Italian opera so special. This is your fifth engagement with Seattle Opera; by now, you must know your way around town pretty well! I think I know the terrain, yes, and I have to say it was disappointing to see some shops had closed since my last time here, or their names changed or something like that. But actually, if I need something I know where to go, and things my family can do while I’m rehearsing (I have two daughters, one is 8 and one is 14, and both are here right now). We know places for shopping or activities, like the Pacific Science Center, or there’s an ice skating rink at Seattle Center right now. That’s not for me—I can’t take the risk—but my family went skating. Antonello Palombi starring as Canio in Seattle Opera's 2008 production of Pagliacci. Specifically, this is the third Verdi role you’ve sung for us: Radames, Manrico, and now Foresto. 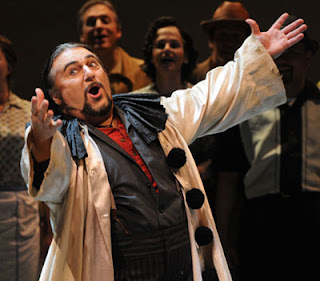 What’s your favorite thing about singing Verdi? I love to sing, singing is my life, and so for me, I like Verdi, but I also like most of the Italian composers. I like to give voice to all the characters in the Italian repertoire, assuming they are compatible with my voice. The Italians, we have in our mouth what we have in our heart, most of the time. And we can say the rest of the world likes to copy us. Our architecture, our food, whatever—you know what I mean. “Made in Italy” means something important. In our opera, you can feel this. Italian opera is about the heart and soul of the people. The emotion and drama is very strong and connects to audiences. You also hear people everywhere singing “Nessun dorma” or “La donna è mobile” or “Libiamo ne' lieti calici.” You’re less likely to hear someone singing the Queen of the Night or something from the Ring. Of course, I say all this because I am Italian! My mother language is Italian. Are you as passionate about Attila? As for Attila, Verdi was still developing his writing. This “Young Verdi” is close to another kind of repertoire that is not very close to my vocality. But in any case, this role was sung by all the most important singers of the past. I’m going to do my best to do whatever I can to give a voice to Foresto, who is not an unimportant character. He’s very strong, a person that trusts his country, is faithful to his love (Odabella), and wants to take revenge on the barbarians that killed her father. You mentioned Foresto’s faithfulness to Odabella. He also seems very jealous. Is that a fair assessment, or does he have good reasons to be suspicious of Odabella? Early on, Odabella doesn’t reveal to Foresto that she wants to kill Attila. And it’s not written in the score, but she probably was afraid Foresto would try and stop her. Like most heroines, she makes this decision on her own and that’s what makes her very strong. But when she finally says she wants to avenge her father’s death and reveals this to Foresto, he kneels at her feet and says, “I’m sorry, I’m so stupid, you are amazing.” You can see this moment in the opera, and they sing about happiness because everything is settling back into place. But then Foresto is surprised again because she almost gets him killed when she tells Attila that Foresto has poisoned his cup. At this moment, he doesn’t understand what is happening. I think he has good reason to be confused. 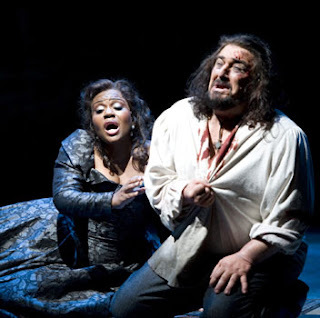 Antonello Palombi as Manrico (with Lisa Daltirus as Leonora) in Seattle Opera's 2010 production of Il trovatore.